It wouldn’t be surprising if you raised an eyebrow or let out a snicker if you came across a bidet in someone’s bathroom. That said, for various persons across the civilized world, a bidet is actually quite a common bathroom commodity. They help give you additional comfort and ease of cleaning in a bathroom, making it better than using regular toilet paper. Bidets are especially beneficial for elderly and folks with specific medical problems, physical disabilities, pregnancy, and other issues. However, even if you don’t have any of these conditions, maybe someone you know can be helped with a bidet. With that being said, you can use our comprehensive buyer guide and list of reviews for the best bidet for elderly and handicapped. What are the types of bidets? A bidet is a plumbing device that makes use of water for washing folks once they’re done with the restroom. You may come across bidets on your travels, especially in Europe, since they are quite common in various countries across the world besides North America. You’ll also find bidets in Asia where they are referred to as “washlets” or Japanese toilets. Making use of water stream helps you clean yourself more easily, comfortably and hygienically. There are many benefits to getting a bidet for handicapped people. A bidet for disabled persons can help with many different medical conditions. A lot of hemorrhoid patients have bidets for an easier bathroom experience. People with disabilities tend to have difficulty cleaning themselves so bidets can be particularly useful for them. Moreover, any person who has had any surgery in their lower body region can gain comfort with a bidet. As we grow older, using the restroom also becomes progressively more difficult. Some have to rely on their caregivers to help with wiping. Seniors can have problems with self-esteem because of such instances that involve relying on others to use the toilet. That’s why getting the best bidet for the elderly can help boost their self-confidence and make bathroom trips easier. Bidet seats are the most common bidet type that is installed in an existing restroom. They come with either an adjustable nozzle or a fixed one that can be attached to the back or side rim of your toilet. Conversely, bidets can be built as a component of the actual toilet. These seats are sometimes managed mechanically. However, generally, they’re controlled electrically and come with special features. Shower bidets are designed for handheld use. They look like the nozzle of a sprayer for the kitchen sink. The nozzle is used to spray yourself with water wherever you need to be cleaned. They are not as common as bidet seats since they require a great deal of flexibility and mobility to be used and also increase the incidence of water spraying accidents which can result in your clothes getting wet. Travel bidets resemble water bottles with their nozzles designed curved at the top instead of coming with a flat suction region, straw area, or top. With travel bidets, you hold the bottle and squeeze it to spray water at the region that requires cleaning. Travel bidets are great for persons who have switched to bidets and find it difficult to use the bathroom without one, as well as for those who wish to give bidets a try without having to spend a lot of money upfront. When you look through different types of bidet seats, you’ll find that there are many different price points between cheap and expensive bidets. You have to know how much you are willing to spend. Generally, you have to find a balance between the features you want and the price they come at. Some other control panels can also come with comparable versions that can provide a wireless remote for greater convenience. These wireless remotes come in different varieties and types. Certain wireless remotes just come with buttons while others with LED displays. You just have to choose one that suits your personal preference. Generally, bidet seats let you fix the water pressure to your preference. However, you might find others that do not. Something to note is that there are a lot of non-electric bidet seats that provide water pressure settings so you don’t have to worry about splurging on these settings as well. 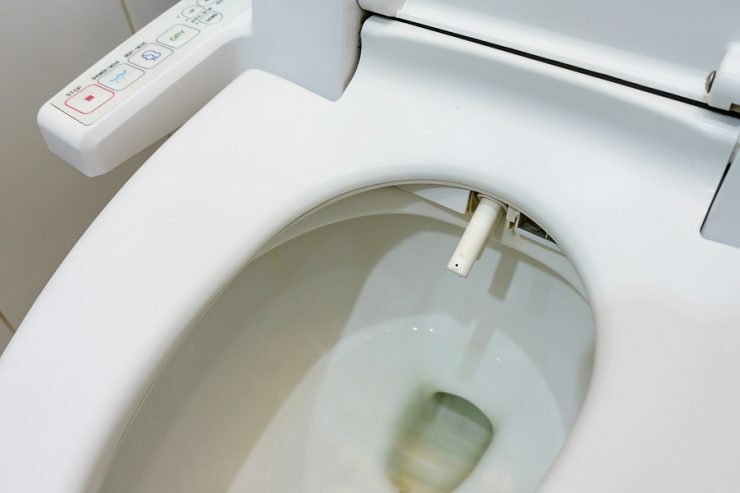 Some bidet seats come with a water heater, without a tank, or with a warm water tank. A tank-less seat with water heating settings usually boasts an unlimited supply of hot water because it heats the water while you’re using it. A lot of these seats with hot water systems also provide you with control over the adjustment of temperature for your preference. Finding a bidet that has a heated seat is one other thing to consider. With these seats, you also get the option of adjusting the seat temperature for your preference. 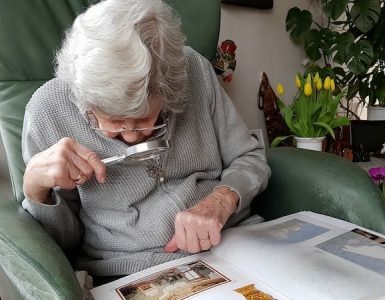 Some elderly people have issues with seats being too hot or too cold because of medical conditions or because of extreme weather changes, and these seats can be ideal for them. Getting a bidet seat that comes with an inbuilt air dryer is definitely going to benefit you. It lets you get the full hands-free experience. Many air dryers usually just blow air, while others also manage to heat it. A lot of individuals tend to find air dryers with heating capabilities to be better at drying since they provide temperature controls for drying your needs. 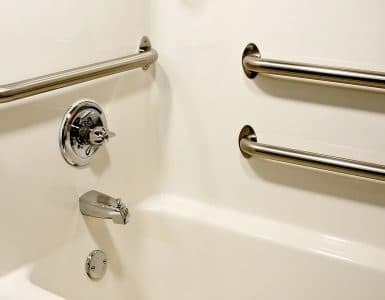 Improper drying can result in uncomfortable rashes or feeling of moistness which can be a nuisance for elderly or handicapped people, so it’s a good idea to invest a bidet for disabled people with an air dryer for their convenience. Some bidet seats out there come with lids that can close softly. Others come with a feature that allows lids to automatically open once someone moves up to them as well as close when they leave. While a useful feature, you usually only get this with the more expensive bidets seats. Something that everyone can agree on is that using the bathroom can be a smelly experience. Some bidet seats come with deodorizers which can minimize the odor. While not a necessary feature, it can be quite useful for some with odor problems. Many bidet seats come with different cleaning options. Standard cleaning options include a posterior approach, the feminine option, as well as enema and massage settings. Other bidet seats will provide some more special cleaning options, but the first four are the more common ones. You should make sure to see which cleaning methods every seat provides to see which one suits you. Different bidet seats have nozzles designed using various materials. These can differ between stainless steel, other metals, hard plastic and other materials. You should check each bidet to ensure its nozzle is made using the high-quality material. With so many settings, you may find only a few combinations that actually suit your needs. Some bidet seats make it so that you can save your settings to have them accessible with the press of a button. Different companies provide different types of warranties, so you should see which one suits you. The BioBidet BB-600 is a smart bidet for handicapped people that has every feature you could want. One of these great features is the functional side button panel to make washing and drying easy and convenient. It also has an inbuilt water tank which gives you a consistent stream of hot water via its adjustable nozzle. The BB-600 has double-action vents that provide a soothing washing sensation by mixing the warm water with some air bubbles to give a gentle massage with all the cleaning as well. These double-action nozzles work for both the feminine and posterior approaches. The seat’s eco-friendly mode prevents toilet roll and electricity wastage by letting you adjust the temperature and pressure of the water. Furthermore, the seat manages comfort by providing heated water. Its soft-closing feature minimizes all the incidences of accidents and wear-and-tear that many handicapped people experience when using the toilet. Overall, the BB-600 is definitely an ideal bidet for handicapped persons. The TOTO C100 is definitely a useful bidet for disabled people. Its heated water and seat are both functional, since they work continuously, while also being simultaneously adjusted for power conservation, so waiting for a warm seat before use won’t be a problem anymore. This is one feature you’d expect to see in more expensive bidets. 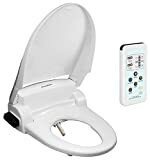 If someone doesn’t require a remote control, any remote lid or flush options or some additional temperature settings for the seat or water, then this bidet is good enough for them. Its power saver mode can adjust and switch off all heated options. With the innovation of the C100, the bidet can figure whether the bathroom is frequently used, often visited, or never in use. During irregular use at night or early in the morning, the bidet would reduce the seat and water temperature. Not only that but when the toilet is not being used like when you’ve gone out or you’re at work, the TOTO C100 will shut these features off completely. If you own a regular toilet, then the bidet’s installation is pretty easy and will be finished in around 20 minutes’ time. In the end, the TOTO C100 is a great bidet for disabled persons who’re looking for automaticity and comfort to make their bathroom visits more comfortable. One of the bidets that prioritize personal hygiene is the SmartBidet SB-1000 electric bidet. This product comes from a line of very advanced and innovative designs for bathroom improvement. It only comes in white color and is able to accommodate round as well as elongated toilets. 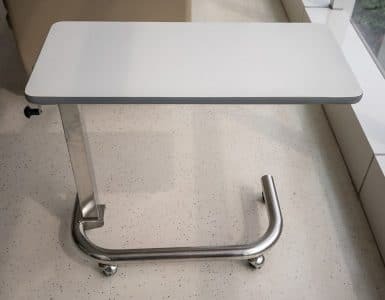 The design is lightweight makes use of a soft close which doesn’t let the seat fall behind you as you exit the bathroom. With just one water nozzle, the SB-1000 provides you with a strong stream of hot water which can be adjusted for the right temperature and pressure. Moreover, it comes with an innovative skin sensor which will switch the water on only if it detects skin, which helps avoid water and energy wastage. The seat comes with all other necessary specifications including a power save option, drying option, nozzle sterilization, deodorizer and remote operations via a remote control. With an added one-year warranty, you know you’re getting a great bidet for handicapped to benefit from the ease of use and reliable automaticity. The Brondell S1000-EB lets the user have full control of the water pressure with each wash for easy use, especially with handicapped, disabled or elders. With its ceramic heating mechanism, the bidet provides immediate water heating while maintaining consistent temperatures without using too much power, so that you get a reliable heating system like no other. The bidet’s heated seat and temperature control adjustments aren’t just luxury features for your enjoyment. They also provide bowel motion stimulation for those with medical problems like older persons with handicaps or disabilities. Besides a warm air dryer, the bidet uses an inbuilt fan and filter of active carbon give you an experience free of odors. Its inbuilt body sensor prevents it from switching on for no reason, and the wireless remote control helps to pick the right wash settings easier and more convenient. With the Brondell S1000’s inbuilt hydraulics, quick release mode and other conventional systems, you know you’re getting a dependable bidet for most elders. The BioBidet Bliss BB2000 provides a lot of unique features that many other bidets do not possess such as its Hydro-Flush feature. This gives you a whole new experience of nozzle self-cleaning by circulating water at high pressure within the nozzle to make sure it’s always clean. In addition, the bidet makes use of a motorized nozzle which makes the nozzle self-cleaning more thorough. 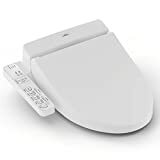 Its inbuilt body sensor lets the bidet detect skin to see if the seat is in use. This helps the seat switch off once the user gets off, and won’t switch on when not in use. The bidet also has a slow-closing lid for a more comfortable experience. The BioBidet BB-2000 boasts a high-quality design as seen with its premium-grade stainless-steel nozzle that provides durability and longevity. Furthermore, it is energy-efficient even during regular use, but in case you wish to conserve more energy, the bidet provides an automatic power-saver mode that adequately minimizes power usage. The BioBidet Company provides a full 3-year full warranty, so you know that the bidet is reliable in terms of both quality and performance. The SmartBidet SB-2000 electric bidet seat comes with a large collection of features that offer comfort and cleaning to improve the bathroom experience for any handicapped or disabled individual. This includes its triple-mode heated seat, five pressure options for the dryer and water, triple-setting temperature control in its cleaning spray and a lot more. Since every toilet isn’t going to be the same shape, the SB-2000 is provided in various sizes to accommodate every kind of toilet seat. You should make sure to take your toilet bowl measurements before you buy the bidet so that it can fit. Similar to the SmartBidet SB-1000, the SB-2000 comes with a remote control along with inbuilt controls for individuals who need some additional help. Whether you’re a capable elderly person or someone with disabilities, the SmartBidet SB-2000 is the ideal way to make the most of an electric bidet. Hopefully, this buyer guide has helped you figure out exactly what you need in your bidet seat for your preference. 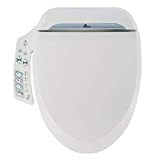 That being said, we feel that there is one clear winner as the best bidet for the elderly, and that is the BioBidet BB-600 Bidet Toilet Seat . This bidet is the complete package. At an affordable price, you get to benefit from a wide array of unique features including seat and water control panels for convenient use, an inbuilt storage tank, water heating, adjustable pressure, and temperature settings and much more. The bidet makes bathroom use for the elderly convenient, easy and comfortable with its smart technology and adjustments. All in all, it tops all the other bidets with regards to its quality to price ratio.